The visa extension process in Isfahan can be done in a single morning at the Immigration & Passport Police Head Office located along Rudaki Street. The opening hours are from 8:00am to 1:30pm and it’s best to arrive during the opening time in order to beat the crowds. Mentally prepare yourself for multiple steps (and probably a bit of confusion) before you can finally walk out with an extended visa. At the entrance, you’ll have to clear the security point and deposit your phone and other electronics. You’ll also be checked to ensure that you’re dressed appropriately. Upon entering the building, go to the second floor where there are multiple counters serving different needs. Look for the Visa Extension counter, show your passport, and make a request for a visa extension of up to 30 days. You’ll be given a slip of paper to fill in some basic details and then you’ll be sent to the Tourism Affairs counter where you’ll be asked a few questions. Why do you want to extend your visa? How many more days do you want to stay in Iran? Where are you staying in Isfahan? Are you here for tourism or work? Note that it is crucial to name a hotel in Isfahan as the place you’re residing in. Once you’ve answered all these questions and gained their approval, you’re pretty much cleared for getting the visa. All you need to do is complete the necessary paperwork. You’ll be sent down to the yard on the first floor to pay the visa extension fee. This is normally done via a debit card, but if you do not have one, the guy behind the counter might help you borrow someone’s card. Otherwise, you’ll be sent to a nearby bank to make the payment. The visa extension fee is around 345,000 Rials. 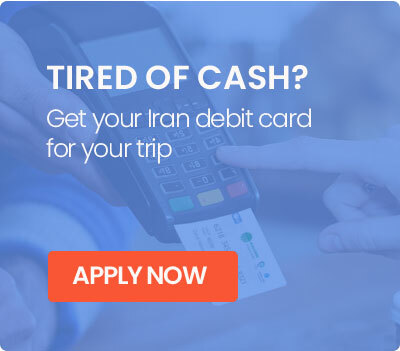 You can also request a TAP Persia Tourist Card to serve as a temporary debit card and charge it with any major currency prior to your extension and make your payment process a lot more convenient. You’ll also be given a file which lists all the necessary documents needed for a visa extension, as well as two copies of the visa extension form. To find a copy machine, go to the counter opposite where you’ve just paid for the visa extension – this is where you can get photocopies of your passport and payment receipt. It’ll cost you 20,000 Rials. Got all the documents ready? Submit it to the counter at the yard and you’ll soon be sent to the second floor again, but this time to the Passport Collection counter. You will probably be asked to wait for a while before your passport gets a little barcode pasted on it. Once this is done, you should go to the Visa Extension counter once again. Wait for a little bit more and soon, your name will be called and your passport will be handed over to you with a visa extension stamp. Congratulations! You can only get a visa extension if you arrive just a few days before your visa expires. If you come way in advance, you might be sent away. 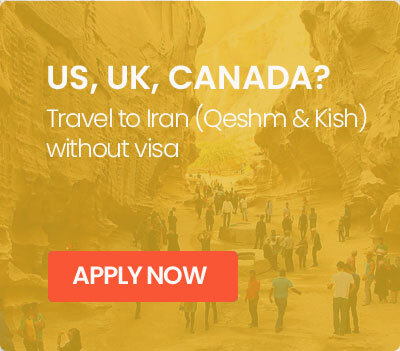 You’re also able to extend your visa twice (this means a maximum of 90 days in Iran) but this is subject to approval. Dress modestly during your visit. This means no hair peeking out of the headscarf for the ladies. Bring along your passport-sized photos. Ladies have to be wearing the headscarf in this photo. If you do not have passport-sized photos, there’s a small shop along Rudaki Street just opposite the building. Getting your passport-sized photos there will cost around 130,000 Rials. Ensure that you have booked a hotel in Isfahan. Do not mention that you’re staying or have ever stayed in a residential property in Iran as the authorities are very strict about this. You can also quote names of hotels in the other cities you’ve visited previously to further convince the officials. When asked why you want to stay in Iran longer, share names of the other cities you’d like to visit and how much you’ve fallen in love with the country. Mentioning that you are a reporter or journalist (or other sensitive job positions) might complicate your visa extension. Be prepared for a chaotic visa office that’s full of people. Expect some raised voices and a bit of shoving, but do not be intimidated. Instead, just try and push yourself forward and make sure your voice is heard. Smile! If you’re nice to the person attending to you, they might offer you extra help or give you what you need faster. You can get your visa extended at one of the multiple Immigration offices across Iran. Below you can find the list of all Immigration Offices located in several major cities. Check to see which one is closest to you.